It’s been 18 years since our love of comics and Star Trek brought Karen and I together. And hopefully we will have at least another 18 years to look forward to. During that time, our collection has grown from just over 1,000 comics to over 16,000. 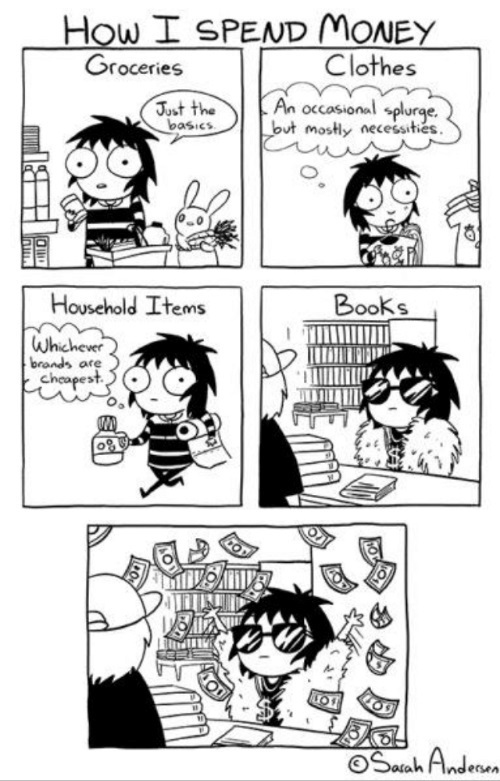 We don’t do holidays abroad and I will hum and haw over £20 for a new kettle, but when it comes to comics and books we are the meme. And as our collection has grown, certain things are definitely mine and others are definitely Karen’s. Some are both of ours, aren’t they Karen? Examples of this are that anything Commando is mine, Victor is shared and anything that is America Jara is Karen’s. The split goes on with Bunty and Wizard (mine), Misty and Alan Class (Karen’s) and 2000AD (both of us). However, one stand-out character that is Karen’s and Karen’s alone is Vampirella. I bought this original by Janine Van Moosel from her Jessica Rabbit Cosplays series as I knew Karen would love it. As a result of having such a large collection, we are constantly digging up buried treasure such as the first work of Carlos Ezquerra in the Wizard or a look at some of Dave Gibbons‘ early work for D C Thomson. As a result of this and the fact that I am a tart for the art, some artists have been kind enough to trust me with looking for some work of theirs and one such kindness was bestowed upon me by Joan Boix who asked me if I could carry out some detective work on his behalf. His first published work in the UK was for D C Thomson and the clues to narrow the search were that it was called Buffalo Brave and it had been published in the later half of 1972. Thankfully I had been sorting out comics recently so I knew I had seen it. That sort saved me checking two out of three of the main suspects as I had been reviewing Wizards so I knew where to find the story. After a swift review, I found issue 136 (cover dated 16th September 1972) featured the first episode of this story and it ran until issue 147 (cover dated 2nd December 1972). After finding the run, Joan asked if I could source hard copies for him, so for the last 6 months I have been hunting high and low for the run. My reward was the gratitude of a great artist and I also had the choice of being rewarded financially or artistically. As I have said that I am a tart for the art, it was a no-brainer when Joan offered me a page of The Ghost Who Walks when I found the issues and sent them to him. I laughingly told him it was a good thing he was not offering one of the other characters that he had worked on as if it had been a page of Vampirella art then it would never belong to me. It took a little time to explain that Karen was a huge Vampirella fan and that we both had our own preferences for comics. As a result, this tickled Joan no end and he said he would give me a little surprise for Karen. So last night, Joan sent me his ‘little surprise’ for Karen and oh my goodness, oh my gosh, it was a whole lot of special. So as Joan is receiving his final issue of that run of Wizard, Karen will be receiving this beauty. Before anyone asks, Karen has already seen and approved the sharing of her picture. As a result, I think I have to inform Colin MacNeil that he now has serious competion as to who is Karen’s favourite comics artist.